The relationship between animals and industry has never been more intertwined than it is today with the pervasiveness of the Agricultural-Industrial Complex. 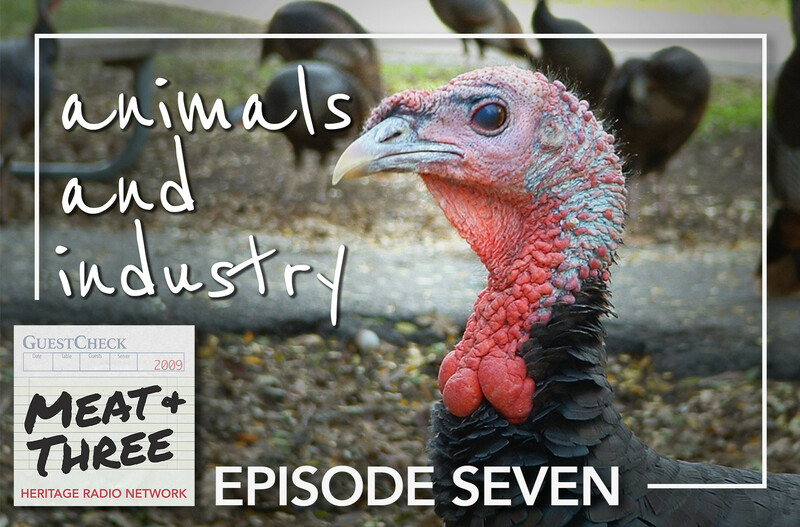 This week’s episode is inspired by the recently released documentary, Eating Animals, which delves into the history of traditional farming practices and the post-WWII shift to the widespread factory farming system. Today, we bring you interviews with the film’s director and one of its breakout stars. His name is Frank Reese, and he’s fighting to keep the old methods of farming and his heritage breeds of turkeys and chickens alive. We also explore how we’ll be eating animals in the future, and how industry will continue to play a role in our food system. In our world of increasing automation, did you know you can now get your meat from a vending machine? There’s also been a lot of talk lately about the viability of insects as an accessible protein source. Is it a passing trend, or here to stay?